Looking for a consumer proposal or personal bankruptcy Licensed Insolvency Trustee near you in Etobicoke, Ontario? Etobicoke is a suburban district forming the western part of the city of Toronto. Etobicoke was first settled by Europeans in the 1790s; the municipality grew into city status in the 20th century. Several independent villages and towns developed within the area of Etobicoke, only to be absorbed later into Etobicoke during the era of Metro Toronto. Etobicoke was dissolved in 1998, when it was amalgamated with other Metro Toronto municipalities into the City of Toronto. Etobicoke is bordered on the south by Lake Ontario, on the east by the Humber River, on the west by Etobicoke Creek, the city of Mississauga, and Toronto Pearson International Airport (a small portion of the airport extends into Etobicoke), and on the north by Steeles Avenue West. Etobicoke’s population (365,143 in 2016) is very diverse, with people from all over the world including South Asians, East Asians, Middle Easterners, West Indians, Africans and Europeans. Etobicoke is primarily suburban in development, with a lower population density than central Toronto, larger main streets, shopping malls, and cul-de-sac housing developments. Etobicoke has several expressways within its borders, including the Queen Elizabeth Way, Gardiner Expressway, Ontario Highway 427, Ontario Highway 401 and Ontario Highway 409. Etobicoke is connected to the rest of Toronto by four stations of the Bloor-Danforth subway, which has its western terminus at Kipling Avenue, and by four GO stations. Etobicoke has one post-secondary institution: Humber College, which has two campuses. Our Etobicoke Licensed Insolvency Trustee office is located at 100 Hanlan Road, just east of Steeles Avenue and Islington Avenue. 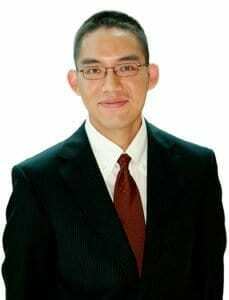 When you first contact us, we’ll book you an appointment with our Etobicoke Licensed Insolvency Trustee, Victor Fong. We’ll also inform you what information you should bring to your meeting with Victor at our Etobicoke office.